Do you any idea about the colour choices this time? As there were rumours that Skoda is dropping the steel grey for black. No... same colour options as before. No changes. What about price? And any additional features (not actually expecting ) ? I am not very sure about that but I highly doubt there will be any changes in price or spec. Nothing changes and current price in Bangalore would be 32.30 lacks (including 25K loyalty bonus). I maybe wrong tarmac but from the information I got from Vinayak is that they are clearing the back log. So I expect 1 or 2 units of steel grey to go from this lot. Does anyone know the status of the delivey? The SA keeps saying they have no update and only when the car is dispatched they will know! I have been informed by one of the dealers in Kerala, that cars will be shipped soon (based on allocations) and delivery can be expected around or after 20-Mar. I have booked mine here in Mumbai around end-Dec. Dealer managed to delivery a batch in Feb (4 cars across mumbai) and now expecting another batch in mid-March. As per dealer, Skoda is now better prepared and fine with vrs bookings more freely. 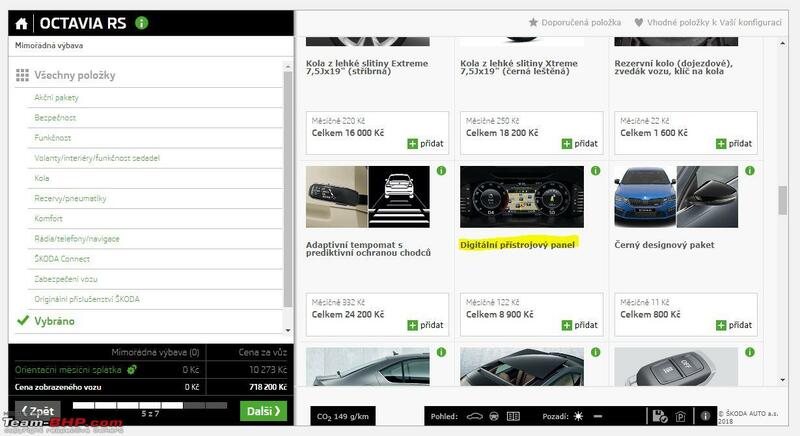 In addition, dealer also has an option to book black colour, I tried confirimg this with Skoda customer care, but they don't have any clue. So I'm waiting mine to be delivered in next batch (hopefully soon) and its black (if I'm lucky) or otherwise Blue. Im sure, avid Team BHP Members know that the dealership in pune i.e. Viraaj Skoda(Sai Sakshi Auto Pvt. Ltd.) is in deep financial trouble. They gave up their Ford and Isuzu dealerships in Pune recently. They are (will soon be "were") the sole dealership for Skoda in Pune. - Price rise due to GST Adjustments, Yearly Price rise and Union budget price rise. - Price is upto 26,25,000/- Ex showroom from 24,60,000/- launch price. - A whopping increase of 1.65L over a period of 4 months. - Viraaj Skoda (Sai Sakshi Auto Pvt. Ltd.) is shutting down and the dealership locations are being taken over by a new dealership soon. - As i can't 2 diff. Invoices for the same. - General opinion on all of this?!? - Any other advise on how to keep my payments protected?!? Mod Note : Post Edited. Smiley usage is restricted to two per post on Team-BHP. Please do NOT use more than 2 smileys in a post. We advise you to read the Forum Rules before proceeding any further. Any of you folks got delivery in March yet? And if so, any changes to the spec / colors / price? They have got black colour now. I'm expecting delivery sometime next week. Car should arrive dealership in next few days, but as per dealer no change in specs or features. As for price, it is 26.25L ex-showroom around 70k increase. Well buying a Skoda in India and then maintaining is not for faint hearted You already have got a taste of what lies ahead and if we go through experiences of some of the other members or knowns, you should stay away. Forgetting the advance in total if its a token like 10-25K as the new dealership most likely won't adjust this if you don't buy the car, you can still continue a fight with Skoda but mentally be prepared to lose this small amount. If it's a large advance like 1 Lac or more than do ask SKODA what will happen if you were to cancel the booking. If you want to go-ahead with booking and the new dealer has already assured you to adjust the advance, you may not need a second receipt, just tell them to make a fresh Proforma, they will either reduce the basic amount in that PI or will mention the advance. 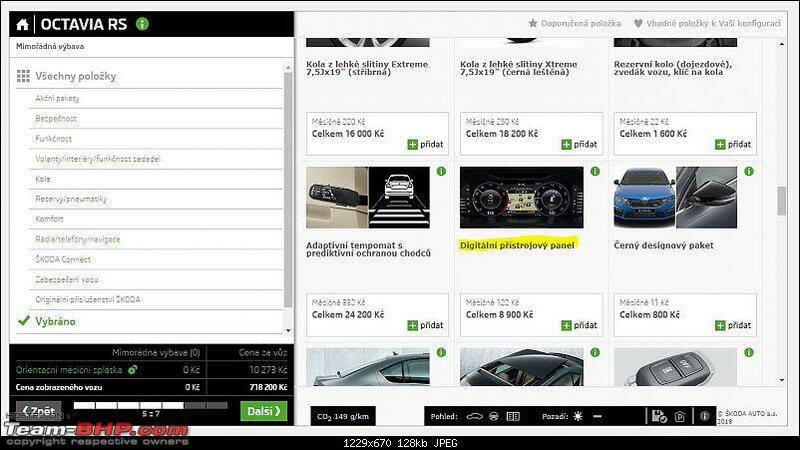 It may not be possible for the new dealership to issue a receipt for the payment they have not received in their books, perhaps Skoda will reimburse them internally and they may bill the car at lower rates or simply show advance at time of invoicing and then settle internally by way of debit/ credit entries in their account with Skoda. As long as you have the initial receipt, unless that's asked back by the new dealer, you will not need a new receipt. Meanwhile, do check BMW for any deals on 3 series, if you can manage the funds, don't look back at VW. Im sure, avid Team BHP Members know that the dealership in pune i.e. Viraaj Skoda(Sai Sakshi Auto Pvt. Ltd.) is in deep financial trouble. Skoda India should start selling cars on Amazon India or Flipkart. I am sure that would present a far better purchase experience. We have a new Skoda dealer here in Trivandrum since a while. I knew the last remaining branch of old dealership will not be there for long when I noticed that they didn't change the logo on their building from old green to new chrome. They continued with the green logo for an year even after corporate logo change. And perhaps open few company-owned workshops in Metros or Tier 1 cities But more than dealers, if the company principal is a cheat in the First place what else can we expect from their channel partners? Look how they are taking Indian customers for a ride by altering the software which is kind of degrading the performance and still polluting and the same very VW is paying Billions of Dollars to customers in the USA and elsewhere.